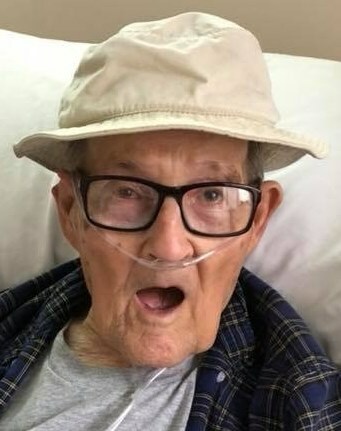 SALISBURY – David Adam Swink, 96, of Salisbury, passed away Friday, February 8, 2019, at the Autumn Care of Salisbury. Born December 30, 1922, in Rowan County David was a son of the late Daniel George Swink and the late Katie Little Swink. Mr. Swink served his country in the US Army and worked at North Carolina Finishing Company in the dye room. Preceding him in death were his wife Eva Cash Swink, grandson Kevin Voit Efird, sisters, Daisy Overcash and Edith Grubb, brothers, George Swink, Herman Swink and Henry Swink. Survivors include sons, Jonathan Swink(Davina) and Jerry Swink of Salisbury; daughters Linda S. Efird of Gold Hill and Janice L. Swink of Salisbury; grandchildren, Nelson O’Kelly Efird and Ricky Lane Efird; great- grandchildren, Bradley Lane Efird, Preston O’Kelly Efird and Adam Efird. Service: Graveside services will be held at 2 p.m. Monday, February 11, 2019, at Rowan Memorial Park, 4125 Franklin Community Road, Salisbury, NC 28144 with Honor Guard Chaplain Ken Reynolds Officiating. Military Honors will be conducted by the Lyerly Volunteer Honor Guard. The family will receive friends immediately following the service in the mausoleum at Rowan Memorial Park Chapel in the Pines. Memorials: May be made to Trellis Hospice and Pallative Care, 301 South Main Street, Salisbury, NC 28144. The family would like to thank Autumn Care of Salisbury and Trellis Hospice for the love and care shown to them and Mr. Swink during this time. Lyerly Funeral Home is serving the Swink family.